Procrastination and productivity, two words beginning with the same letter but have very different meanings. I, as I'm sure many of you too, will own up and admit that when I can, I will procrastinate as much as possible. 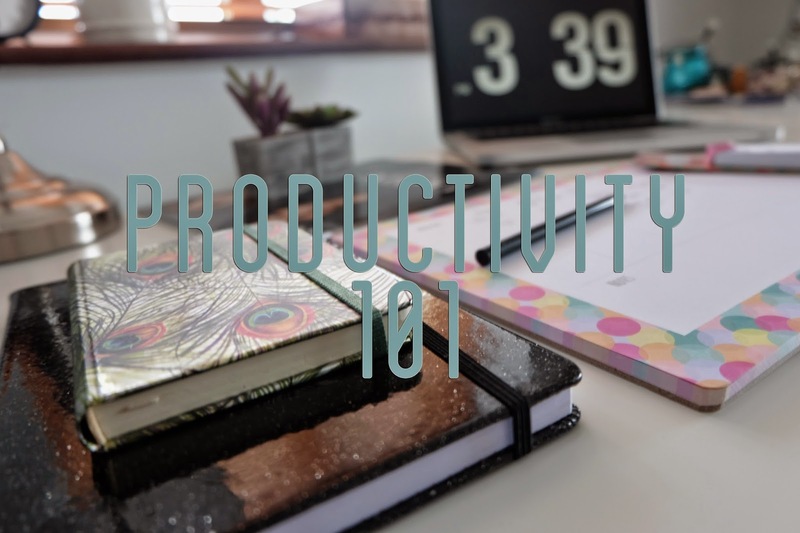 But lately I've been making a real effort to become more productive and today I thought I'd share with you a few tips! 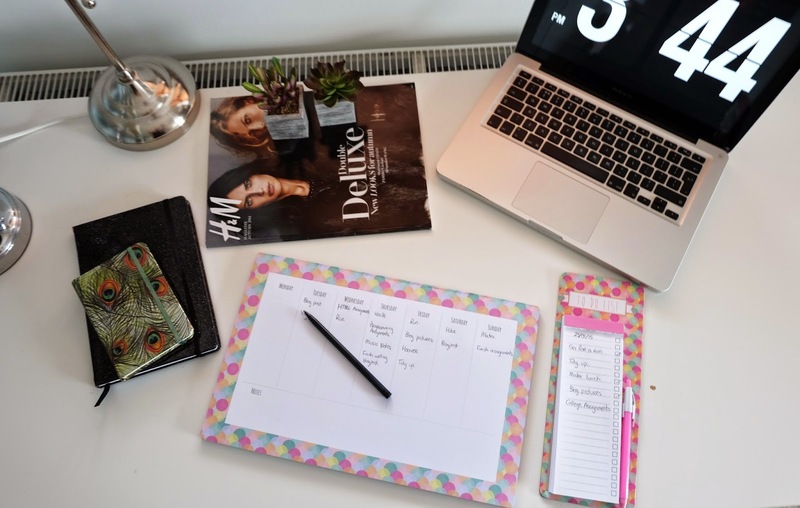 I recently purchased a weekly planner in Penneys/Primark, as seen in the picture above and in this post. This so handy as it sits on my desk where I see it everyday. I find that when I physically write down what needs to be done and assign a particular day in the week to do it, it stops me from procrastinating as much. I also bought the to-do list from Penneys/Primark and again it helps because I'm physically writing down what I need to do and when the task is completed I can tick it off and it gives me a sense of achievement! In our tech filled worlds it's very easy to be sucked into the internet or tv instead of doing the work that needs to be done. We've all been there, you have a deadline but the latest episode of Pretty Little Liars or America's Next Top Model is on and you just 'have' to watch it! What you need to remember is that the internet and television will be there when you've finished whatever you needed to do. So switch off your laptop, put your phone on the other side of the room and get to it! I always carry at least one notebook with me. Whether it's blog ideas, or emergency shopping lists, I find it really handy to have a notebook close to hand to jot down my ideas and thoughts. And again, it comes back to the physical action of writing things down, it really helps to enforce ideas and give you motivation to actually do the things you write down. Sleep is key to being productive. I usually try to get at least 7 hours of sleep a night. On nights when I get less than that I really feel it and struggle with my concentration the next day. When you get enough sleep you wake up energised, and that little boost will help you be more productive throughout the day. Do you have any tips on being more productive? Let me know in the comments! Thanks so much for reading and I hope you enjoyed todays post.